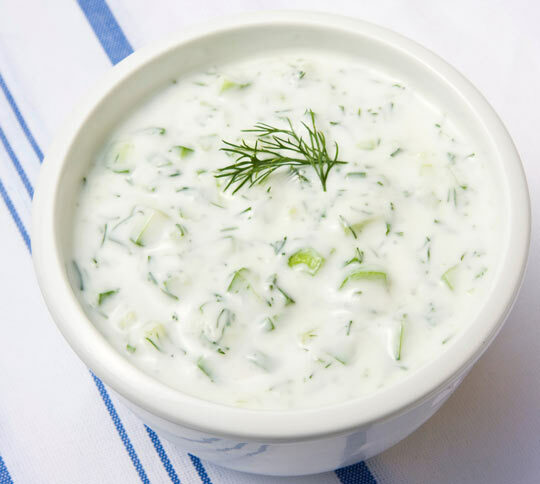 This tzatziki sauce is made with fresh, healthy ingredients. It's easy and fast to make, and it is wonderful as a vegetable dip or paired with grilled meat. Mix all ingredients in a bowl and refrigerate. Allow sauce to rest for a few hours before serving for best taste. Combine all ingredients except the cucumber, and refrigerate overnight. Drain the grated cucumber in a separate bowl overnight. Combine ingredients together the next morning.